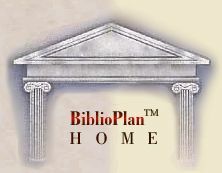 BiblioplanTM Relocation Software takes library space planning to a higher level by organizing the process of inventory and layout for all library collections whether by linear footage, title by title, cartoned or cabinetized. For Reclassification/Conversion Projects, BiblioplanTM Relocation Software allows manipulation of records in a way not usually allowed by existing Automation Systems. This function not only speeds the Reclassification/Conversion process of collections but generates substantial labor savings for the client during labeling and reconfiguring/reshelving of the collection. Collection Classification Flexibility-LC, DDC, NLM, SuDocs, Alpha, Accession, Local or "No System" friendly with accurate sort/sequence protocol in each classification program. Collection Component Flexibility-as detailed or general as required by particular user. Space Planning Inventory of Collection Components to the half inch. Accountability for space needs of oversize materials. Quantifies periodic Growth for specific Titles/Items-i.e. yearly, bindery cycle, "inactive", etc. Allows detailed data collection for reclassification "on-the-fly"(in transit). Automatic Sort/Order of Volume sequences from multiple locations - Older first, Newer next, Duplicates separate. Reclassification of title/item components from one System to another, into new shelf order, on-the-fly (in-transit). Computerized Integration of Total Collection from Multiple Locations into one new Shelf Order. Customized Growth Rates and Shelf Fill Ratios at Destination for each title/item based on its yearly growth pattern. Variable Shelving Schemes based on anticipated new acquisitions, Patron Usage Patterns and Staff Stack maintenance requirements. Exact Computer generated shelf assignments for Individual Titles/Items at Destination. Value added-long term use by staff as in-house locator system-ON-LINE WITH MULTIPLE FIELD SEARCHES. Relocation Schedule with Productivity Estimates. "Pick Lists" and "Pick Cards" to manage Reclassification "on-the-fly. Detailed Handling and Shelving Instructions. Destination Placards for exact placement of Title Component/Item. Inventory Format accommodates various forms of standard archival containers and is flexible to include "odd" carton configurations. Accountability for space needs of oversize materials exceeding capacity of standard archival shelving. Multiple Origin Locations tracking for same Item/Title distinguishes "duplicates" from various volume sequences within same set/title. Allows detailed data collection for reclassification "on-the-fly" (in-transit).